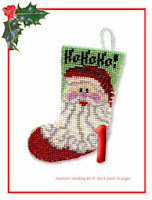 "The 12 Makes of Christmas"
Did you ever wish you could open your Christmas Stocking before the big day? Well, now you can! If you love miniature projects, then you are certainly going to love finding out what is inside each of our Christmas stockings - and you don't have to wait until Christmas Day to open them. 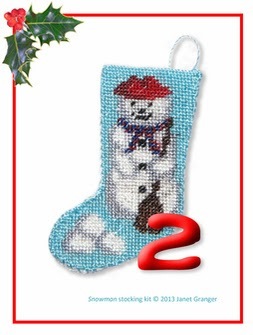 On each of the twelve days running up to 25th December, you will be able to unpack one of the virtual miniature stockings to reveal a unique FREE project written by one of our artisan AIM members. Click on this '12 Makes Of Christmas' link to go to the AIM website and then every day, click on the new stocking for that day to reveal your next free project ..... right up to the 25th December.